Local families are invited to take part in Mid Sussex District Council’s ‘…beside the Seaside’ themed afternoon of fun and activities as part of Play Day 2018, a series of free community events organised by Mid Sussex District Council. 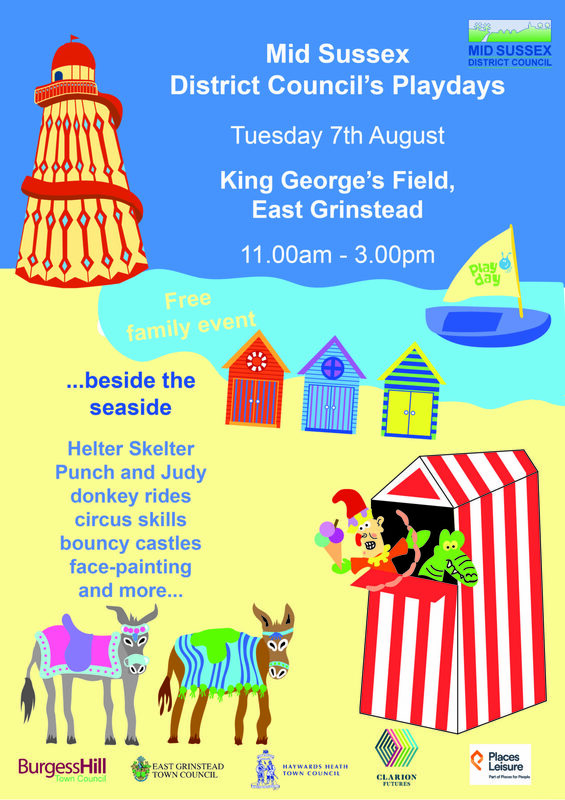 East Grinstead Playday will be taking place on Tuesday 7 August from 11am – 3pm at King George’s Field, East Grinstead. The days are designed to appeal to both boys and girls and are for children aged under 13. A fun packed day of activities is planned and families are welcome to bring a picnic and stay for the whole day. There will be plenty going on to keep everyone entertained, including donkey rides, a giant Helter Skelter, Punch and Judy and much more. Play Day is a celebration of children’s right to play and a campaign to highlight the importance of play in children’s lives. The 2018 events have been organised by Mid Sussex District Council with support from Burgess Hill Town Council, East Grinstead Town Council and Haywards Heath Town Council. Sponsorship has been provided by Places for People Leisure and Clarion Futures. Previous : Town Mayor invites you to supper. 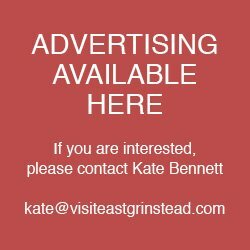 Next : East Grinstead: Royal British Legion News.